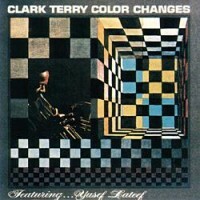 Clark Terry (trumpet, flugel horn, vocal) with Tommy Flanagan(piano);Harry Edison(trumpet); Jimmy Knepper(trombone); Jesse Davis (alto sax) Yusef Lateef (tenor sax); Seldon Powell (tenor sax) Barry Harris (piano); Milt Hinton (bass); Bobby Durham (drums) and others. The irrepressible Clark Terry, grand master of jazz, universally admired and loved, died on February 20th 2015 at the age of 94. His unique style of playing so instantly recognisable became known throughout the world. He was as equally at home in the big bands of Charlie Barnet, Count Basie and Duke Ellington as with small groups or recording with Cecil Taylor or Thelonious Monk. His sound was an inspiration to the Duke who wrote a number of pieces specifically for him. 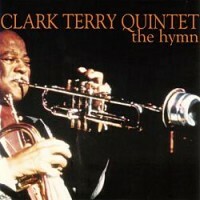 Influenced by Louis Armstrong and Roy Eldridge, Clark in turn influenced Miles Davis and the entire school of trumpeting as well as popularising the flugel-horn. Terry was also no mean vocalist and his blues inspired vocals which he sang in a unique wordless vocal style typified his outgoing fun loving personality. 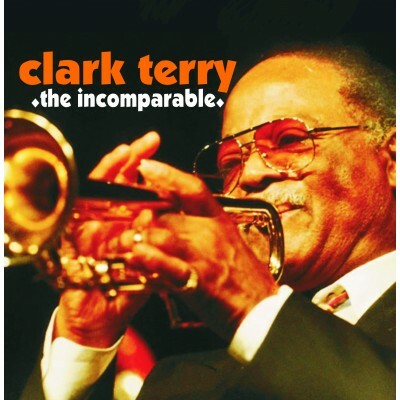 This commemoration of his genius features Terry in a variety of settings made for CANDID between 1960 and 1993 with his own combos as well as those of Cecil Taylor, The Basie Alumni and Seldon Powell. His next Candid appearance for Hentoff was in January 1961 when he was allied with Cecil Taylor together with Archie Shepp, Steve Lacy and others on recordings made under the nominal leadership of bassist Buell Neidlinger. Cecil had long been an admirer of the Duke and Clark’s (on the face of it) somewhat incongruous appearance on an avant garde session made musical sense as his Ellington connections and versatility made him a cornerstone on two Ducal tracks - Jumpin’ Punkins (included here) and Things Ain’t What They Used To Be . On his solo on the former Terry rides smoothly over the band, managing to insert some of his trademark humour into what by all accounts was a somewhat fraught atmosphere in the studio!